Pyxis Profit is a powerful application. The user enters their business overheads, salary costs and profit target. Depending on the business type selected, you might need to enter some other relevant business data. If you provide a service, or you generate part of your income by providing a service, then you will need to enter productivity figures for employees who do the service work. The application will then provide you with weekly, monthly and annual profit targets ad break-even figures. It will present a recommended hourly charge and markup, depending on your business type. 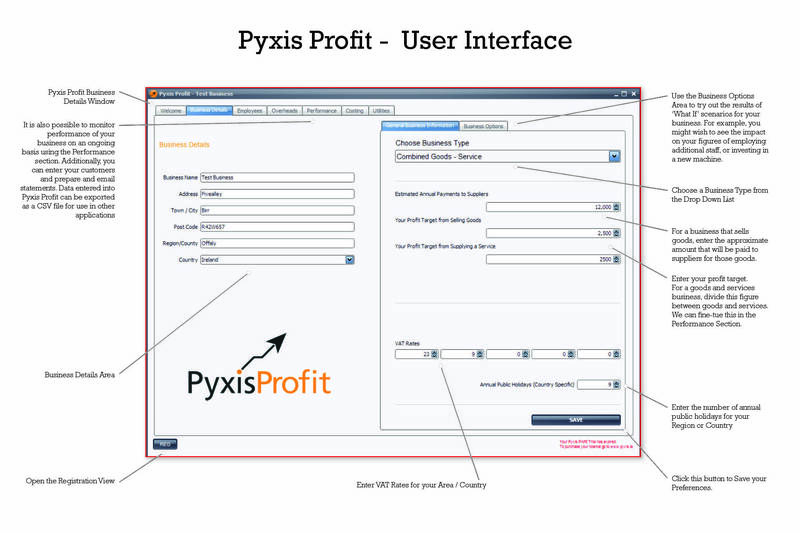 In addition, Pyxis Profit can be used to create and email statements.